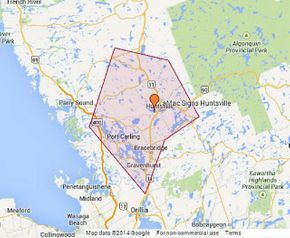 With more than 2 million visitors enjoying the scenic Muskoka area every year, custom signs and billboards visible from the road are among the most effective ways to advertise your business. For more than 40 years, aMac Signs has not only been creating custom signs but also helping local businesses get the most bang for every advertising buck. Ask us for a quote on jobs small and large, ranging from your storefront sign and truck lettering to billboards and find out for yourself how affordable our professional design and manufacturing services can be. We even lease billboards on Mukoka area highways to help you get your brand known and recognized by residents and visitors alike. 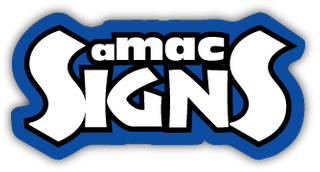 Whether you’re updating your signage to a more modern look or launching a brand new venture, call or visit aMac Signs!